Volume booster relay, YT-315 is used in pneumatic control valve which receives positioner’s output signal and supply air pressure actuator to reduce response and adjusting time. - Supplies constant air pressure at the rate of 1:1. 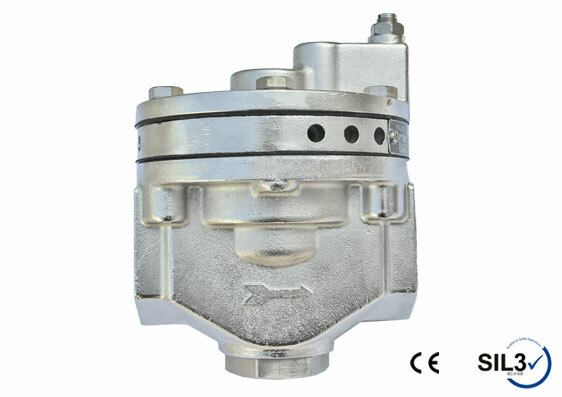 - By-passing control enhances safety of control valve. 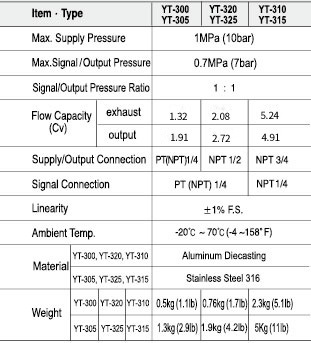 - Response to slight changes in input signal, which increases accuracy of output of air pressure to actuator. - Built-in 100 mesh screen filters dusts in the air.